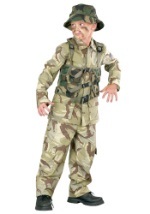 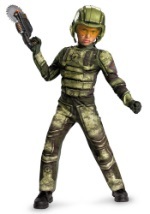 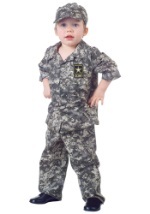 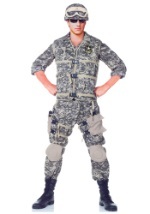 Become a courageous member of the US Army when you wear this Kids U.S. Army Camo Costume. 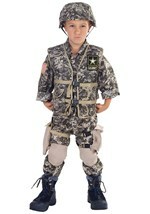 This costume comes with a camouflage shirt that velcros up the middle, matching elastic waistband pants, and a matching cap. 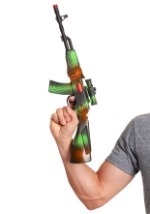 There is a 'U.S. 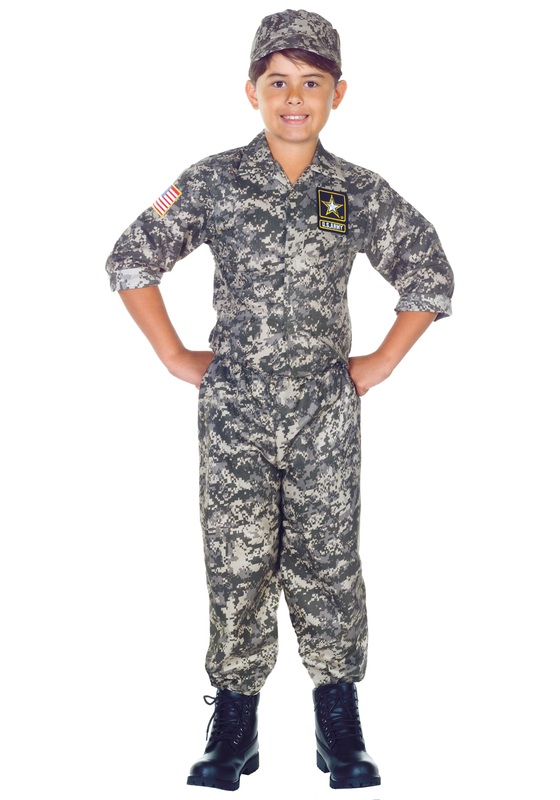 ARMY' patch on the upper left chest side of the shirt and an American flag on the left shoulder of the costume. 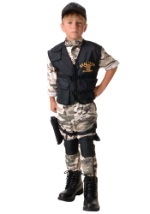 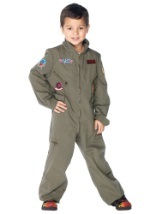 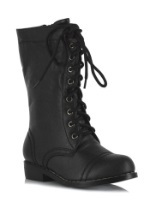 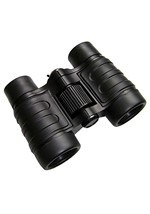 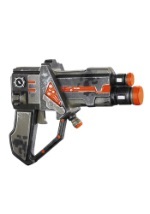 Pair this costume with some child black army boots for the perfect costume!